What was meant to be a massive anti-government protest in Tel Aviv has drawn fewer people than expected, as students, activists and the movement for equality in military service laws joined together for a march on Saturday night. RT’s Paula Slier tweeted that the police used pepper spray to disperse the crowd. 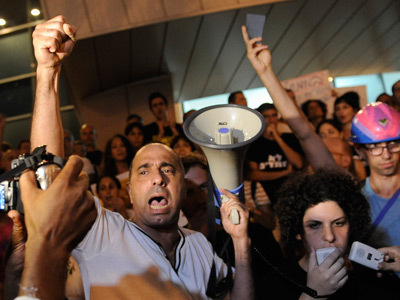 The rally at the Tel Aviv Museum was the larger of the two, with approximately 5,000 people gathered to protest austerity measures and tax hikes recently approved by the government, and also called on the government to ditch military draft exemptions for Haredi Jews and Arabs. 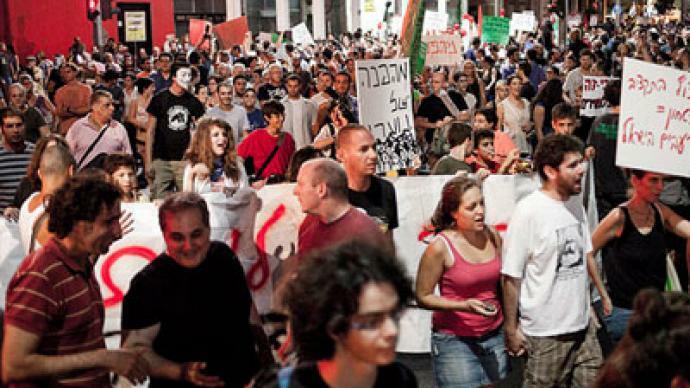 A smaller group of demonstrators at Habima Theater also expressed their anger at the government’s austerity policies, but were against getting rid of the draft exemptions. They also derided the government for its bellicose stance towards Iran, and blamed it for murdering Iranian scientists and kidnapping Hezbollah operatives from Lebanon. At one point, a few dozen protesters from the smaller rally came over to the demonstration at the Tel Aviv Museum and used megaphones to tell the crowd to go home. They also accused organizers of using the premise of joining the causes – that of social justice and military service equality – as a publicity stunt. Some charged the barricades and ended up getting pulled away by security. A man dressed in a Batman costume rushed the stage and postured for the crowd. He was eventually taken down by security as well. At least one person was arrested, Haaretz reports. 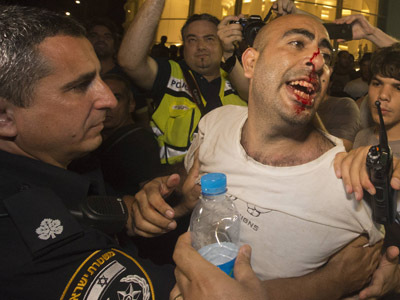 Activists say the man was sprayed with tear gas by an undercover policeman. Police contend that he stole a gas canister from one officer, and sprayed another policeman who was filming the rally. 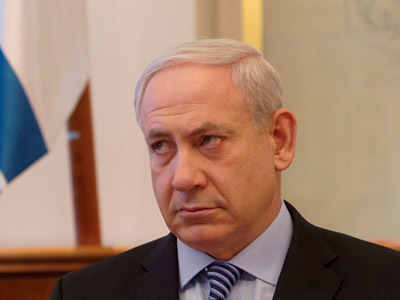 Over 60 per cent of Israelis are unhappy with Netanyahu’s job performance, according to a survey published by Haaretz. “This isn’t only a young people’s campaign,” news website The Times of Israel quoted Chairman of the National Student Union Itzik Shmuli as saying. “It’s the campaign of everyone who bears the economic, social and defense burden – everyone who cares how this country will look in a few years." Tel Aviv’s failure to reach a compromise over the issue of the military draft for ultra-Orthodox Jews and Arabs has also birthed a campaign for equality in Israel’s military law. 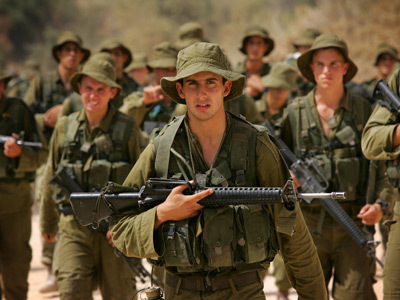 Most Israelis are required by law to serve a two to three-year stint in the military after their 18th birthday. 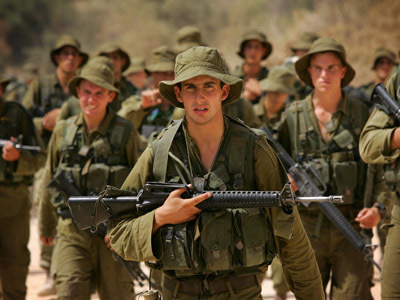 The so-called ‘Tal Law’ expired on August 1, which for 10 years had exempted Arabs and ultra-Orthodox Jews from military service. The country’s secular majority has been putting increasing pressure on the government for more equitable military service laws. The Tal Law was passed in the Israeli Knesset in July 2002 as a temporary law that required renewal every five years. There has been constant public denunciation of the law after it was renewed in 2007, which became even more pronounced in the wake of its recent expiration. Netanyahu had previously announced that he would “formulate a new bill that would guarantee a more equal sharing of the burden of all parts of Israeli society.” But Kadima, the largest party in the country's Parliament, quit Netanyahu’s coalition government in July following a disagreement over the conscription of ultra-orthodox Jews. Protest rallies are a familiar sight in Israel, which has seen an uptick in street demonstrations and antigovernment sentiment in recent months.